As one of the most highly-anticipated global sporting events this year, the Special Olympics World Games – which takes place this year from March 14th to 21st at Zayed Sports City Stadium in Abu Dhabi – will see thousands of athletes of determination arrive in the UAE from more than 190 nations to compete for the winning title in more than 24 sports. Well-handled logistics can make or break such an event – particularly one where many of the attendees may have special needs – so having seamless medical, transportation, scheduling, and accommodation support is paramount. Here, data and analytics challenges are monitored in the control room and go beyond it as well, with information and apps supporting every part of the event playing a key role as vital elements in a production of this scale. Cyviz – a global provider of solutions for high performance visualization, collaboration, emergency response, operations centers, and meeting room environments, and known for creating future-focused digital workforce solutions – was proud to take on the challenge. Cyviz, originally Norwegian with a global presence, is engaged with the Special Olympics organization to help solve their data and analytics monitoring and visualization challenges in the master operation center for the World Games. Through Cyviz support, all digital assets for the event will feed information and data to the data hub, acting as a visual aggregator for all related intelligence. Another important part of the experience is the World Games app, which helps visitors and athletes to navigate through Augmented Reality, and share volunteer schedules, venue information, and medical incident application to manage any emergencies. It also provides a chat bot, as well as sports information, from scheduling and awards to profiles and live updates. Cyviz’s understanding of how visualization and a dynamic control room can contribute to public safety and reduce risk through the management of real-time and real-life situations, puts them in a unique position. This year’s event is set to be the most unified Special Olympics World Games in the history of the Special Olympics, and Cyviz is delighted to support this world-class event that elevates awareness and understanding of what is possible for anyone with special needs. “At Cyviz we would like to cultivate an inclusive culture and we care much about equal rights and opportunity. 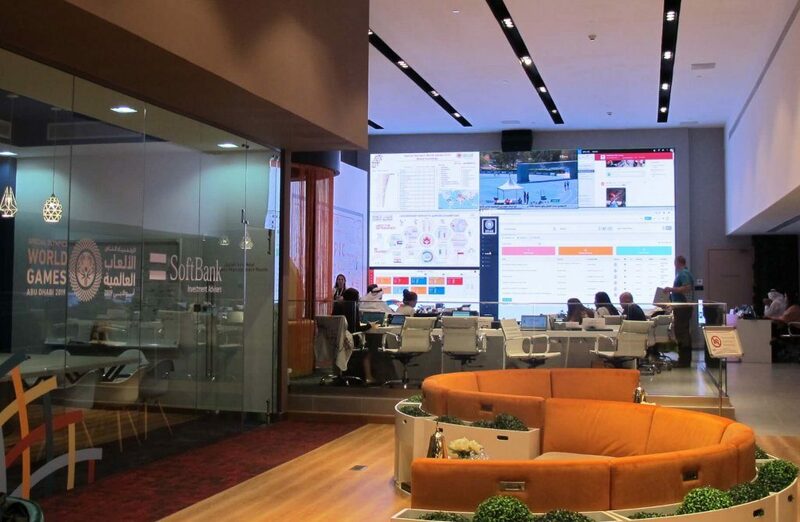 When we were approached by the Special Olympics organization to help solve their challenges with monitoring and aggregation of data in their master control room, we instantly recognized this as a special cause where we could contribute,” says Tony Abou Jawad, Vice-President Middle East & Africa, Cyviz. Indeed, it’s reflective of the company’s attitude regarding challenges related to an event of this size and complexity in terms of logistics, simultaneously-run events and activities, and the substantial number of participants and supporting staff: That no challenge is too great to be overcome by those with the right support and determination. With Cyviz control room solutions serving customers around in managing complex and critical scenarios, in hospitals, emergency response centers, and other critical functions, using Cyviz technology and innovation to fuel the master control room was the organizers’ preferred choice – and the only solution that could deliver the versatility and adaptability needed.